ALA is proud to present Alan Tuckett as this year’s keynote speaker at the National ALA conference in October. 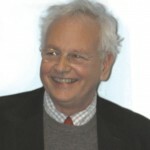 Alan Tuckett OBE is the President of the International Council for Adult Learning (ICAE). He is the former Director of the National Institute of Adult Continuing Education in the UK, having worked previously as an adult education organiser in Brighton and as a Principal in inner London. He started Adult Learners’ Week in the UK in 1992 and supported its adoption by UNESCO and its spread to more than 50 countries. He has seven honorary doctorates, is a Fellow of City & Guilds, and was inducted into the International Hall of Fame for Adult Education in 2006. He was awarded the OBE in 1965. Quest speaks to Alan about his role at ICAE and what he hopes to bring to our conference. 1. ICAE’s agenda to ‘promote adult learning as a tool for active citizenship and informed participation of people’ is echoed in Adult Learning Australia’s policy area of learning for civic engagement. In a globalised world where communities can be enormously diverse within a single city, and where virtual ties can be as important as geographic ones, what are the features of a civically engaged community and how can we educate for one? Raymond Williams, the Welsh adult educator and cultural critic wrote that at times of change people turn to learning to understand what is happening, to adapt to change, and most importantly to see how to shape change. That seems to me a reasonable agenda for civic engagement. Of course understanding involves appreciating and celebrating diversity, respecting difference, recognising the complexity of the forces shaping the ways our lives are changing and building the solidarities needed for shared action. Of course, all that is easier when you don’t feel under threat. Learning can help with all those things. At NIACE in England, where I worked until last year we published the findings of an inquiry into the future of lifelong learning, which argued the case for a citizenship curriculum building on the thinking of Amartya Sen– to include financial capability, digital capability, civic capability and health capability. It involves contesting prejudice ( something Mike Newman writes about wonderfully in Defining the Enemy), assessing risk and uncertainty, celebrating cultures, recognising conflicting needs, listening, learning from mistakes and strengthening tolerance. Patience is important, too – 50 years ago in Britain people used to ask to move house ‘because of the funny cooking smells next door’. Now a survey tells us that chicken tikka masala is the national dish. 2. In your role as president of the ICAE, you have mentioned the need to gather evidence about ‘intersectorality’. Can you describe what you mean by this term and how it applies to adult learning? The term derives from the work of the feminist sociologist, Kimberlie Crenshaw, who identified the multiple interactions of gender, race, class, ability, and other forms of identity work together to create systematic social inequality. Much debate about inequality treats discriminations in isolation, but the way they reinforce each other is critical. In much the same way, the biases deriving from social policy streams interact at the level of individuals and communities. And adult education can have positive effects in ameliorating discrimination on issues addressed by a range of policy streams, so it follows that we need to assert its value in its own right but also to map those effects. The positive impact of adult learning on mental health is well mapped. But the Wider Benefits of Learning centre at the Institute of Education in London did pioneering work ten years ago, using longitudinal population studies that showed that women who had taken part in learning had a lower incidence of cervical cancer. Taking up learning, they found, has a dramatic impact on increasing racial tolerance; it has a significant impact on giving up smoking; it reduces recidivism among offenders; and it prolongs active life. OECD is currently following up these studies, too. It is also clear that children whose parents are learning do better in school. These effects happen whatever learners’ level of study, and whatever their social background. The point is that adult learning is a good in itself, but a key catalyst for the achievement of other goals. That is hard for policy makers working in silos to recognise – hence the need to get more evidence. 3. Part of your mission states that ‘Adult and lifelong learning are deeply linked to social and economic justice; equality of gender relations; the universal right to learn; living in harmony with the environment and respect for human rights.’ How do these values link with adult learning in the context of a developed nation such as Australia? At ICAE’s World Assembly in Malmo, Sweden last year there was a presentation of the findings summarised in ‘The Spirit Level’. In it, Wilkinson and Pickett show that it is the gap between wealth and poverty in all but the poorest countries that has the greatest impact on health, longevity, social tolerance… and as the Human Development Index shows every year high GDP does not necessarily produce positive outcomes for everyone. I have always seen the key task of adult educators to recognise who isn’t there, who gets the rawest deal, and then to work out how to overcome barriers. That involves outreach work, innovative programmes, starting from where people are. And borrowing ideas from how people address these challenges elsewhere – a key role for an association like ICAE. 4. Our 2012 conference theme is Lifelong Learning for Resilient Communities. How are you going to approach this theme in your conference presentation? I expect to tell stories! I will look at the issues by having a look at how people in Haiti are dealing with education for legal rights, how learning is used to help people displaced and dispossessed by the earthquake to claim their rights; how people in the Philippines facing intensified typhoons and rising water levels manage having to move their communities away from ancestral homes; how Dalit women in Lalitpur, Uttar Pradesh assert their rights to learn against local customs; how a fish and chip shop owner in Salford led the regeneration of her community through a local learning centre – and to look, too, at the creativity and energy of the World Social Forum. 5. How can Australian policy makers and educators learn from the ICAE policies? Adult education is on the back foot in many parts of the world at present, as neo-liberal and utilitarian policies have taken hold. Our task is to draw strength from our shared experiences, and to evolve strategies that work for our different circumstances to change that. Our focus in ICAE is on how we address the framework set at the CONFINTEA conference in Belem Brazil in 2009 – which had challenges for every country; how we achieve the millennium development goals; how we develop effective learning for sustainability in a climate changing world; how we secure gender equality, and contest discrimination through education for adults; and how to support decent learning for decent work. I am sure there will be experiences there that resonate for collegues – practitioners and policy makers alike – from experiences in other countries, and I am certain, too, that there is much for ICAE members to learn from Australian colleagues’ work.